Located just off Tottenham Court Road in Bloomsbury, Bloomsbury Terrace is a popular Barratt Home development completed in 2008. Barratt London worked closely with English Partnerships to refurbish this former nurses accommodation into 53 apartments. The building was fully renovated with additional architectural features to blend in with the historic neighbourhood. The apartments are all two bedrooms, with the majority benefitting from two bathrooms and privates terraces. A number of the residents have parking spaces which are located in the car park at the rear of the building. The building has five entrances with two apartments on each of the floors providing a good level of privacy for the residents. There is lift access to all floors with a video entry phone and key fob system. Bloomsbury Terrace benefits from a day time porter operating 6 days a week. Derek has been in the building since the first residents moved in and offers another level of security as well as keeping the building running in a ship shape way. He is a keen sports fan and animal lover - he is also fond of a cup of tea and a biscuit! Hudsons let and manage flats on behalf of Landlords and have sold a number of apartments in there during the last 6 years. 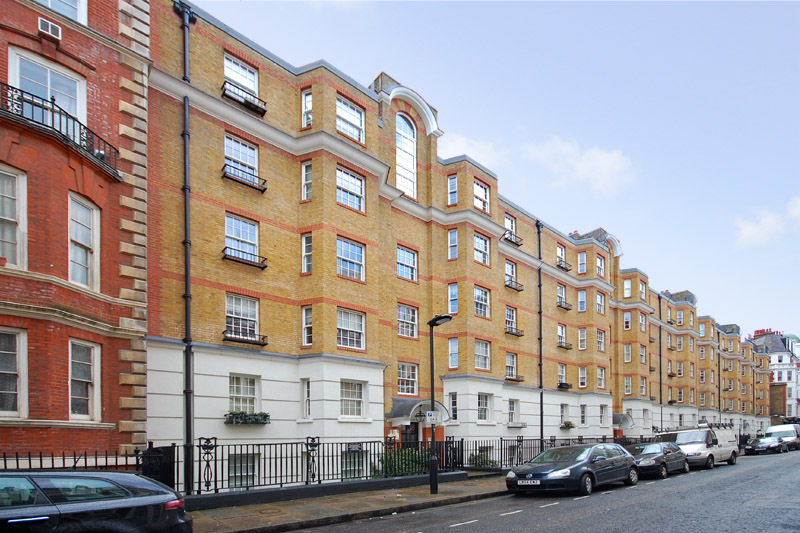 Do you live in Bloomsbury Terrace?